Click here for a Contribution Form. 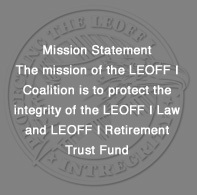 The mission of the LEOFF I Coalition is to protect the integrity of the LEOFF I Law and LEOFF I Retirement System Trust Fund. 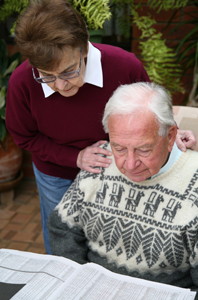 The LEOFF I Coalition is a 501 c 5 non profit and nonpartisan LEOFF I pension volunteer organization. The LEOFF I Coalition is officially registered with the Secretary of State's Office, State of Washington. The LEOFF I Coalition opposes any legislation creating a medical board and long term care endeavor utilizing LEOFF I pension funds without the mutual consent of the members of the LEOFF I Retirement System or their beneficiaries.The LEOFF I Coalition seeks recognition by the Joint Committee on Pension Policy or any subsequent replacement of that or similar Committee, Round Table, or similar group that may affect the Members of the LEOFF I Retirement System.